In keeping with my super stringent once a month summer posting schedule, today I'm sharing some cupcakes I made recently for my friend's birthday. My friend was having a super pink birthday party so I took out all of my pink supplies and overloaded them. I used my regular favorite cupcake recipe to make some chocolate cupcakes and my favorite light cream cheese frosting with a little pink food coloring. I wanted something special and pink to top the cupcakes but didn't have anything bold so I used some marshmallow fondant I'd made before to make some heart toppers. It's simple to make (melting marshmallows, powdered sugar, and water then kneading it together) and will stay fresh for weeks and weeks well wrapped (I'll admit I made this batch in February!) Kneading in a color is a lot like making playdoh and really fun. I don't have any special fondant tools but used a regular little rolling pin and small cookie cutter to cut out the hearts. I let them dry over night and stuck them on top of the frosting the next day. I even made some extras and saved them in the freezer for Baby Strawberry's upcoming birthday. You can see some more about the marshmallow fondant at this post about my son's Pirate Birthday Cupcakes. 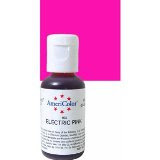 I used my Americolor Gel dye to get the vivid pink color. 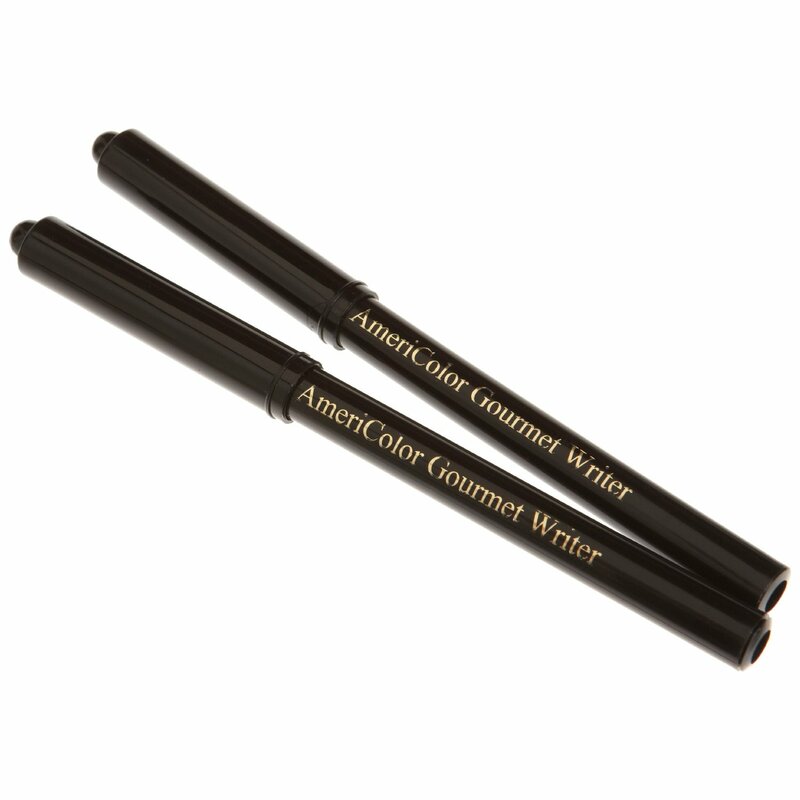 I think they do the best job of providing simple, vivid colors and they have a squeeze top bottle for ease of use. There a few dollars each at the Cake decorating store (or at Amazon of course) and last forever. I've used them to dye frosting, cake batter, homemade playdoh, and more with great results. Last I gave the cupcakes a hearty sprinkling with my edible glitter (It's called Pixie or Disco Dust and while it looks exactly like delicate craft glitter it claims to be safe to eat!) It's gorgeous and really makes a regular dessert something special. I buy mine locally from ABC Cake decorating (or on their site) but Amazon has something comparable as well. 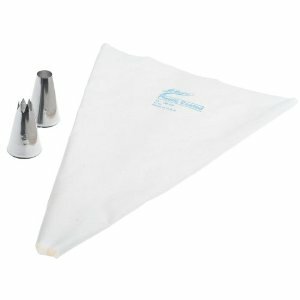 A basic piping bag and tip doesn't have to cost a lot (this set is less than $8 with free shipping). While I've frosted cupcakes before with one of those small bags and tips a lot of people use, a little bigger one can make for some fast frosting and a high impact cupcakes. This set looks like a good place to start with my favorite brand- fill the bag up and practice piping some icing spirals on a plate or sheet of parchment, you can add it right back to the bag and keep on trying until you get the shape you like best. It's actually really fast and fun to frost a whole bunch of cupcakes and take it from the worst cake decorator in the world- if I can do it, you can. Do you have a favorite way to decorate cupcakes or a favorite recipe? Birthday season is about to start around here and I think there is a lot of frosting in my future!! You make it all sound so easy Anne! Those cupcakes are darling. Would edible glitter look good on my eyelids? Disco dust is PLASTIC CRAFT GLITTER!!! It is NOT for use on any food--ever. Doesn't matter that it's non toxic--it's PLASTIC and we don't feed plastic to people. Edible glitter is made from gum arabic, sanding sugar, or gelatin. 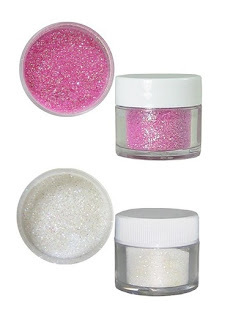 If someone has told you that disco/pixie dust is edible, then they're wrong and don't know that disco dust is inedible plastic craft glitter, not meant to be used on food.